Reinventing oneself may seem a common modern pastime, but in her second novel, Liza Klaussmann deftly and self-reflexively explores invention as a careful art in life and fiction. The author of British National Book Award winner Tigers in Red Weather , Klaussmann has fictionalized the lives of Gerald and Sara Murphy, illustrious American expats central to the 1920s arts and literature movements in Paris and Cap d’Antibes, where they built their fabled home Villa America. “ The only world I want is the one we invent for ourselves,” Gerald implores Sara in one of his courtship letters. “I want something entirely of our own creation. I’ve felt inauthentic for most of my life and I want to be finished with that.’” This is just one true and significant detail to which this careful historical novel is pinned, as it follows the Murphys from 1898 and their lonely childhoods through snapshots of their time during the war, life in France with three children and eventual move back to the U.S. around 1937. But Klaussmann also injects this increasingly captivating life story with a parallel, pivotal character of her own creation who is inspired by a real yet unknown pilot who once flew in caviar for a party the Murphys threw for Ernest Hemingway. The emotionally and verbally economical American pilot Owen Chambers is just the foil Klaussmann and the novel need to unpack exactly how contrived the Murphys’ marriage and family life were — and what people truly thought about Gerald’s questionable sexual orientation. Weaving the story of three intertwined lives is tricky, and the narrative dawdles a bit at the beginning as Klaussman luxuriates in the trio’s early lives, even as such a thorough account of personalities and relationships sets the novel on solid footing. Klaussmann shows her dexterity as the story develops, and she delivers this tale not only in prose but also letters, and not only through the viewpoints of Sara, Gerald and Owen, but also many others drawn into the Murphys’ intimate circle, including Picasso, F. Scott Fitzgerald and Linda Porter, Cole Porter’s wife. This impressive legerdemain creates a prism-like view of the couple, rendering them all the more vibrant. The story of Sara and Gerald’s marriage is at once enchanting and troubling. But when the parties start up at Villa America, the novel becomes a vicarious guilty pleasure, especially for readers who love seeing the era’s artists and writers brought to such animated life, witnessing Picasso’s uber masculinity, Hemingway’s toughness or the Fitzgeralds’ hijinks. Klaussmann wrote her thesis on Tender is the Night, which is dedicated to the Murphys and arguably based on them; Fitzgerald’s novel inspired Klaussmann to write Villa America . Unsurprisingly, Scott and Zelda at times rival the Murphys for center stage. But to Owen, newcomer and outsider, the Murphys’ pageantry and all those who adore them are alluring — and off-putting. Chambers views the whole scene as “people who courted complication, who made a life — made a religion really — out of their confusion,” even as he finds it impossible to resist and alters the Murphys’ lives. Sara and Gerald were the sort of people who knew everyone and whom everyone loved, for better or worse. Villa America allows the 21st century reader to become addicted to them, too. Read more at the Miami Herald, here. The lure of escape beckons, seduces and often overpowers us. Joy, the 19-year-old protagonist of Laura Van Den Berg’s new novel, practically embodies the idea, whether she’s fleeing foster homes or disconnecting from life via cough-medicine highs. When Find Me opens, Joy has seized the opportunity to escape anew, this time from a United States beleaguered by a sickness that erases people’s memories before turning them silver and swiftly taking their lives. Van Den Berg’s set-up, coming on the heels of fears over Ebola outbreaks, is topical and intriguing. Find Me. Laura Van Den Berg. FSG. 274 pages. $26. Reviewed by Christine Thomas for the Miami Herald. Early in the novel details of Joy’s background are unclear, but she will be forced to uncover secrets. And though at first she seeks escapes within the hospital — trysts with fellow patient Louis and visits to the library, which she imagines contains “a portal to a place that is separate” — when these coping strategies crumble, she discovers a way to break back into the outside world. 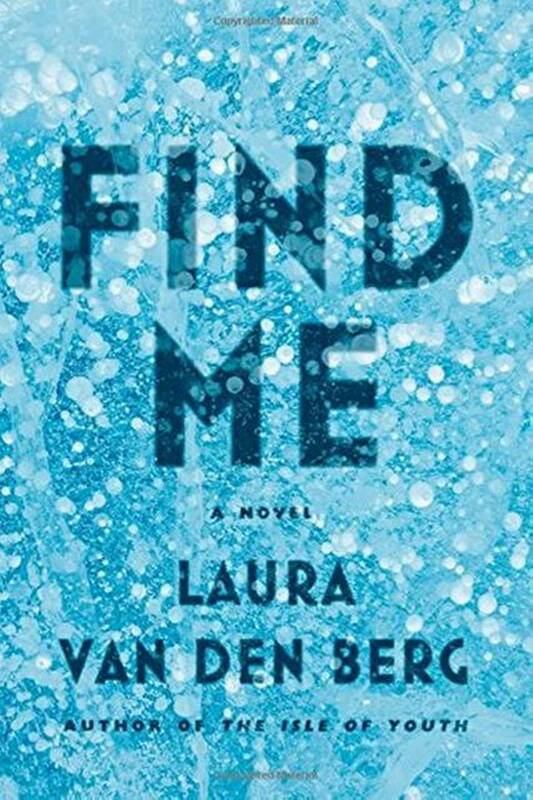 Van Den Berg is also breaking out in Find Me, her first novel after finding success with two story collections, What The World Will Look Like When All the Water Leaves Us and The Isle of Youth. The beginning chapters are perfectly terse, written with a brisk pace and controlled leaps that provide just enough information to grab hold of you and leave you wanting more. They could thrive as separate, complete short stories, which doesn’t hamper the novel at all. Joy’s battered-yet-tough first-person narration is strong enough to carry it forward. But Van Den Berg isn’t shy about escaping her initial storyline. The change is welcome when Joy sneaks away from the hospital, into the unknown wilderness of Kansas and the post-epidemic world. She and the novel adopt a new purpose — they head to Florida to find Joy’s mother, who abandoned her as a newborn — and an entirely different sort of story emerges. The details are determinedly grittier, and Joy’s life on the road is increasingly woven with bizarre dream states and blurred reality. Unfortunately, the narrative also gets a bit murky, lost inside itself much like Joy as she veers off course and seemingly forgets her mother. Pinned to this goal and the physical journey from Kansas to Florida, the plot at times feels thin and labored, craving more firm guidance. Find Me rejects a sharply defined ending, so forget resolution. Instead, the novel almost dares readers to escape into this weighty, dark world, where everything has unraveled and all the rules have changed, and see just what they can make of its rich emptiness. Film rights have already been snapped up, and I suspect that’s where its broadest reach lies. You can check out some excerpts of these contributions online here. Books will be on sale for a special price, and writers will be on hand to talk story about myth and writing. Of course, if you can’t make it, check out the book online here. If I wasn’t already set this week to view rehearsals of Kumu Kahua Theatre’s upcoming comic play, “Fishing for Wives” for a feature story, I’d definitely be heading to the Waikiki Aquarium on Thursday for the talk and book signing by Dr. Terrie Williams, director of the Marine Mammal Physiology Program at the University of California, Santa Cruz. 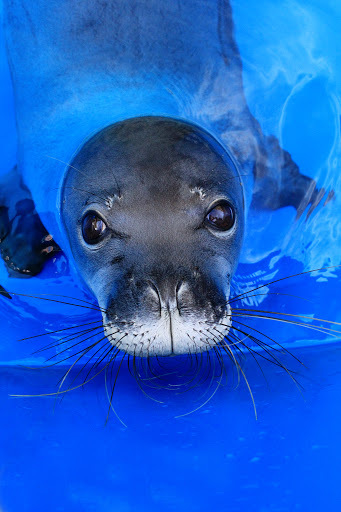 She helped care for the abandoned, blind Hawaiian monk seal pup KP2 at California’s marine mammal lab, who now frolics energetically at the Aquarium. 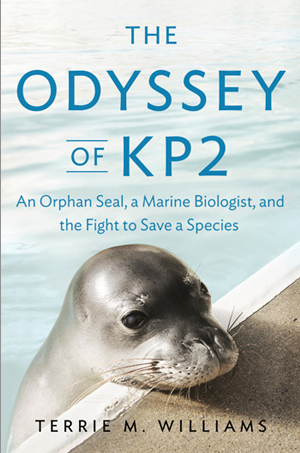 Williams will read excerpts from her new book, and account of her experiences, The Odyssey of KP2: An Orphan Seal, a Marine Biologist, and the Fight to Save a Species, and sign copies. Free to the public but donations are appreciated. Call(808) 440-9011 or email reservations@waquarium.org to make reservations. Now that you’ve amped up excitement about local books at the Hawaii Book and Music Festival, you’ve got another fun chance to support local book publishers, authors and Bishop Museum by attending the 2012 Book Awards. The awards ceremony begins Friday May 11 at 6pm in the Bishop Museum Atherton Halau, followed by a reception in the Hawaiian Hall Atrium and Courtyard. 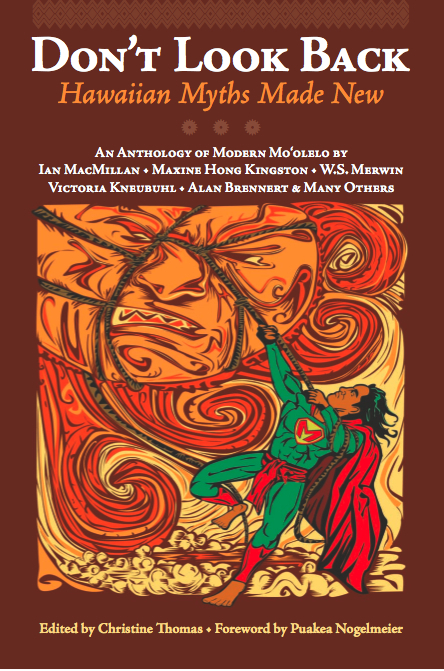 The awards are given by the Hawai‘i Book Publishers Association and recognize the finest books published in the state during the previous year (in this case, in 2011), and honor authors, designers, photographers, illustrators and publishers who create them. 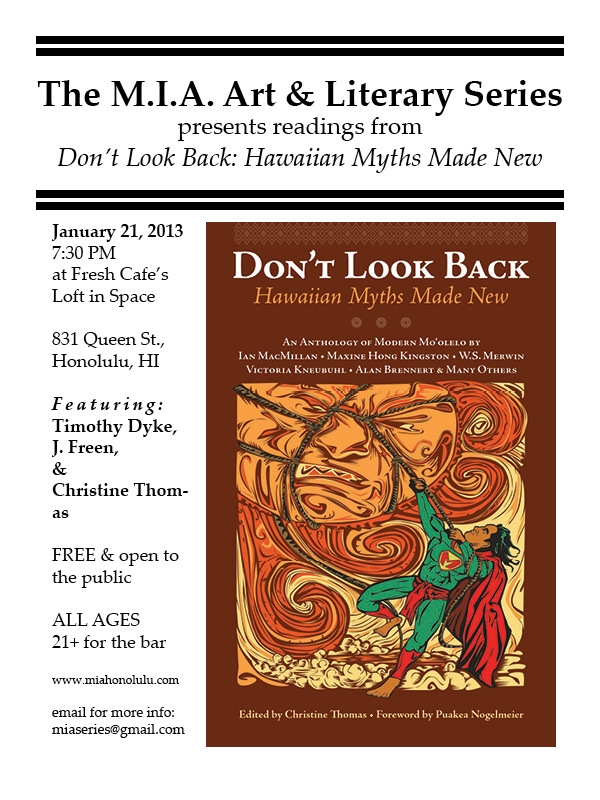 I will be there to see what books are honored and if, perchance, Don’t Look Back: Hawaiian Myths Made New, is one of them. Hopefully, I’ll see you there.